In this edition of Sightings, Martin Marty visits recent "measurers of opinion," which tell us that the military comes out on top -- and that despite recent scandals at the top. We're not as bad as Congress, but not where we once were. We could suggest that this is all an anti-religious (read anti-Christian) animus on the part of media, etc., but I don't think that would help our cause. But the key point that Dr. Marty wants us to hear is that the public is paying attention! I invite you to read Marty's post and offer your thoughts. By the way, I received a nice note from Professor Marty giving permission for me to share these postings with you! Three “War College” scholars, in the Spring 2013 issue of Daedalus (see reference), discuss some of the reasons why the military wins more confidence than other American institutions. The military is not our subject; those authors may be biased because of their vocation and location, and we may lack full confidence in Harris and Gallup and Pew and other measurers of opinion. Still, even if statistics strung out in editorials can weary the eye, they do tell us something. In our case, the "War College" authors drew on a Harris poll conducted two years ago. Let's look at what this poll turned up about “Organized Religion” to see if there are insights or lessons for those who care about religion in American life. In the Harris poll, 57% of those questioned had “a great deal of confidence” in the military, and only 10% had hardly any. “Small business” came in second, while “major companies,” “Law firms,” “The press,” “Wall Street” and “Congress” evoked least confidence; they came in twelfth to fifteenth. We keep our eye on “Organized Religion” which came in sixth. As for “leaders in institutions,” the military rated highest, while religious leaders attracted “a great deal of confidence” among 22%. But here’s a slide: in 1966 religious institutions inspired high confidence among 41% of the people, that “high” figure dropped to 22% by 1980, near where it still hovers today. These instruments are not sufficiently fine-tuned to be used to ascertain what factors contributed to declines in confidence shown the favored or the unfavored. So one cannot find here what the usually highlighted features in each decline were. Look elsewhere to see what “clergy abuse” has done to inspire loss of confidence. We can speculate about other contributors: mass media focus on frailty, some financial criminality or sloppiness, sharpening suspicion among “nones” and “secularists” and “drop-outs,” distorted vision among the cultured observers, etc. What religious leaders and members should take from surveys like this is a renewed awareness of the fact that publics are watching. True, some people are remote from the exercises of life in religious institutions and thus their conclusions are born of ignorance. Some may want to find reasons to distance themselves from the efforts and effects of “organized religion.” View it negatively, or draw only on the observations and conclusions of those who focus on the weaknesses and wrongs of religious institutions, and your case is made. The much-noticed “social media” certainly contribute, because images mediated through them are unmonitored, unfiltered, undisciplined, and thus, in their “raw” form they can spread negative images more readily than they can positives. It is much more difficult to project images of what goes on among serious seekers, sacrificial givers and workers, agents of charity or quiet care for others, than it is to feature scandalous public expressions. All this does not mean that religious institutions simply have to do better jobs of public relations, though most of them could certainly do better then they characteristically do now. The point of these comparisons is this: there is no place to hide. Religious institutions cannot be at home in the public sphere to serve in it and expect to be given special treatment, if they ever could. There is no reason to expect that they can run for cover now and go unnoticed. Christians among them cite words of Jesus: “Woe to you if all speak well of you.” They evidently don’t have to worry as much about “woe” as do military leaders, because so few people these years speak well of them and their institutions. Andrew Hill, Leonard Wong, and Stephen Gerras, “The Origins & Lessons of Public Confidence in the Military,” Daedalus: Journal of the American Academy of Arts & Sciences, Spring 2013. 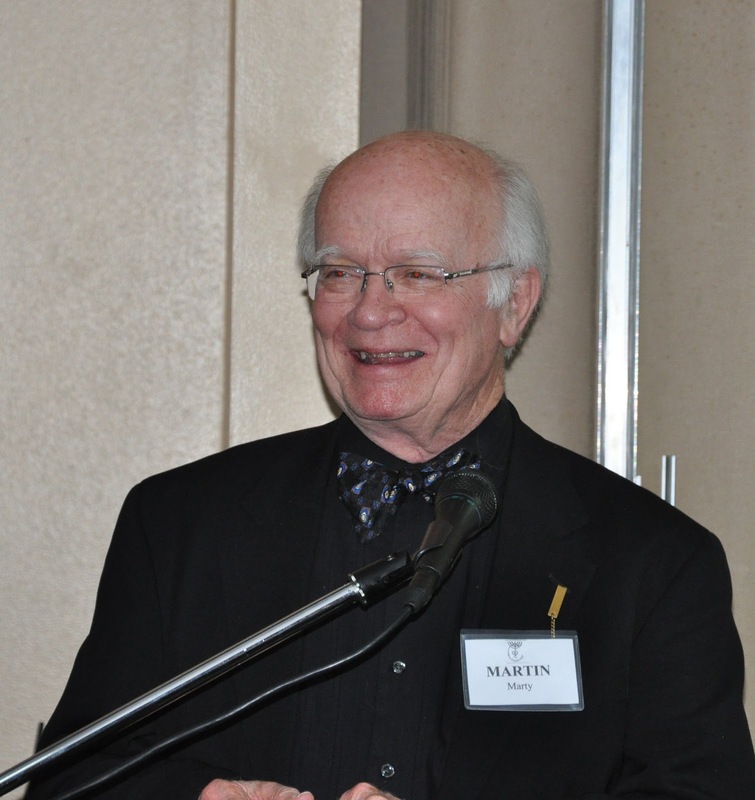 Author Martin E. Marty is the Fairfax M. Cone Distinguished Service Professor Emeritus of the History of Modern Christianity at the Divinity School. His biography, publications, and contact information can be found at biography, publications, and contact information can be found at www.memarty.com. Editor Myriam Renaud is a PhD Candidate in Theology at the Divinity School of the University of Chicago. She is also a 2012-13 Junior Fellow in the Martin Marty Center.